1912, London. Jessie Kenton hears her young brother, Georgie, scream in the middle of the night and wakes up the next morning to find him gone. Her parents never speak of him again. 1932. Twenty years later, Jessie is haunted by the same nightmare. Her other brother, Timothy, has inexplicably vanished from her parents' home. Wracked by guilt because of her failure to ever find Georgie, and convinced that the two events must be related, she sets out on a quest to find Timothy. 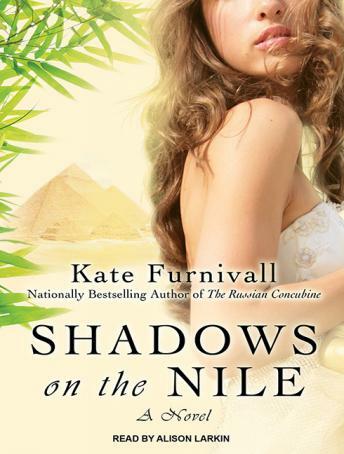 She plunges into a mysterious world of seances and mystics, nebulous clues and Egyptian artifacts. With the help of a dashing and impoverished aristocrat, Sir Montague Chamford, Jessie follows the trail into the alien, swirling sands of the Egyptian desert. Amid the ancient intrigue and blistering heat, a powerful romance sparks between Jessie and Monty. But they must first confront the demons of Jessie's past-and reveal the dark secrets that threaten not only Timothy's life but theirs as well.